Half the weight of glass, acrylic mirror is shatter resistant with extensive design flexibility. This material offers greater flexibility of design, installation and assembly. It may be cut into intricate shapes, drilled, sanded, polished, machined or heated for sharp line bends. Safer than glass with ten times the break resistance, acrylic mirror lends itself to many different applications. 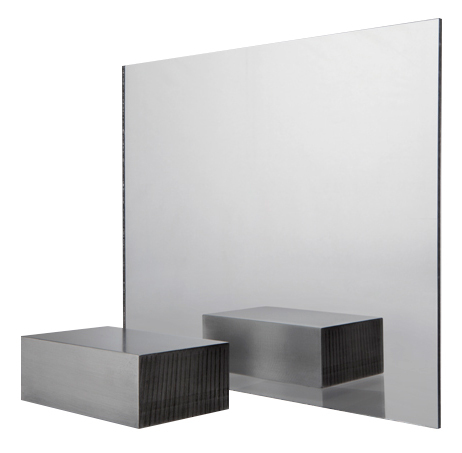 Acrylic mirror is a highly reflective material. Also available in Silver. Displays, plastic signs, plastic letters, decorative profiles, locker mirrors, shower mirrors, lighting, Table tops, Ceiling tiles, Security etc.